Stone, Hal. 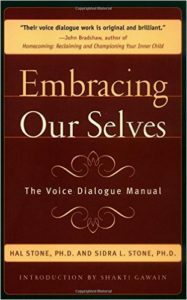 Embracing Our Selves: The Voice Dialog Manual. Novato, CA: Nataraj Publishing, 1989. A great description of a process called Voice Dialogue, which is very akin to Shadow Work®.